Following claims by Armando Cedeno, a representative of Mexico’s circus industry that animals may die as a result of the wild animal ban, Animal Defenders International has announced it is willing to help the Government find sanctuary for animals in need. We have been invited by the Green Party in Mexico to assist with the implementation of the country’s new law prohibiting the use of wild animals in circuses and will be working to secure the best possible outcome for the animals. ADI President Jan Creamer said: “Animal Defenders International is honored to have been asked by the Mexican government to assist with the implementation of the new law and will be using our years of experience to secure the best possible outcome for the animals. Circuses around the world are thriving without animals and we congratulate Mexico for their progressive stance. By passing legislation to make circuses free of wild animals, Mexico is creating an opportunity for them to attract wider audiences and maintain jobs. This is the making, rather than the breaking of the circus industry in Mexico. ADI has previously helped the Bolivian government to rescue and home all the former performing animals from its circuses, and is currently working with the authorities in Peru and Colombia to implement legislation prohibiting the use of wild animals in traveling circuses. As part of our groundbreaking rescue mission ‘Operation Spirit of Freedom’, we are currently caring for 33 lions and other animals rescued from circuses and the illegal wildlife trade. Legislation prohibiting the use of wild animals in circuses was passed in Mexico in December 2014, with an implementation date of July 2015. Under the new law, circuses face huge fines of 50 to 50,000 times the minimum wage – the equivalent of nearly $230,000 – if found guilty of committing an offence. Studies of the use of wild animals in traveling circuses show that circuses cannot meet the physical or behavioral needs of wild animals. Animals are confined in small spaces, deprived of physical and social needs, spending excessive amounts of time shut in transporters. These animals are often seen behaving abnormally; rocking, swaying and pacing, all indicating that they are in distress and not coping with their environment. ADI’s video evidence has shown how these animals are forced to perform tricks through physical violence, fear and intimidation and our two-year undercover investigation in South American circuses has been key in securing bans in nine Latin American countries. 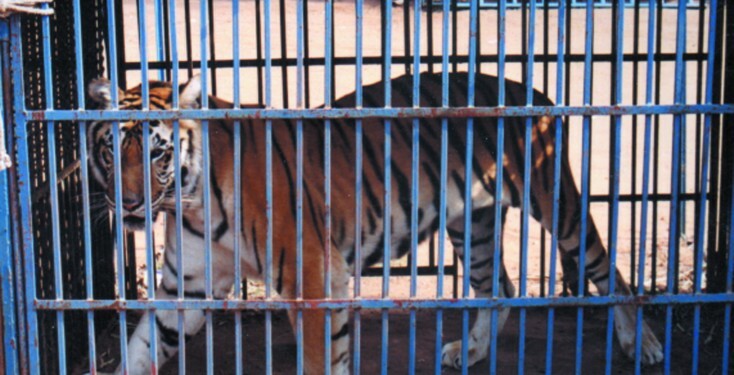 Worldwide, 30 countries have introduced measures to prohibit the use of wild or all animals in circuses. I’m so happy to read this article. I’ve been following the stories about these animals that were part of the circuses and Mexico and how they are being neglected now that they represent to profit to the circuses’ owners and how they’re willing to put them down. So glad that ADI is intervening to save these innocent animals that deserve to spend the rest of their lives in sanctuaries enjoying their lives. Thank you ADI. basta de circos con animales!!!!!!!!!!!! basta de zoo!!!!! ellos sufren ! es una lenta lenta muerte! freedom!!!!!!!!!!!!!!!!!! libertad!!!!!!!!!!!!!! para todos los animales en el mundo!!!!!!!!!!!!!! Please also help us to ban wild animals in our circuses, in South Africa. Unfortunately, it is legal and flourishing here. Hi Wendy, we are supporting efforts by a number of group to stop circus suffering in South Africa. Please follow us on facebook to keep up-to-date with campaign developments.